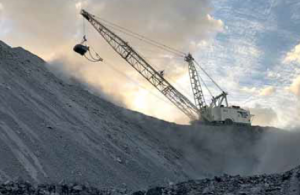 Stanmore Coal has secured additional long-term port capacity at Dalrymple Bay Coal Terminal, Mackay, paving the way to step up production at its Isaac Plains mine near Moranbah. The company said the extra capacity added certainty for the company to pursue options to take its coal handling and preparation plant to its nameplate capacity of 3.5Mtpa ROM. In announcement to the ASX, it said the Isaac Plains complex's reserves and resources were sufficient to allow it to ramp up production to match that capacity. It is increasing its production guidance for the 2019 financial year from 1.8Mtpa to 2Mtpa.